Stress is the natural response of our need to adapt to situations or events that we interpret as threats. We all have stress and there are circumstances that make this become chronic. Stress does not affect us all equally; the same situation produces different effects on each person, depending on their emotional state, self-confidence, physical condition, etc. Our current pace, very active, always fast life, augmented by labor, social or family, economic concerns and lack of time problems are examples of the most common things which generates chronic stress. Although it is not even considered a disease in itself, it is a risk factor that can affect negatively on our performance and our health, many studies published and relate this anxiety more likely to develop physical illness such as heart problems, autoimmune or infection and if we last long, can reach provoke other disorders such as gastritis, ulcers, dermatitis or hair loss. It can also affect us psychologically causing us, irritation, lack of attention and memory, fatigue, sleep disorders, anxiety, agitation, among others. To cope with stressful situations, the body must be provided quickly more energy. Breathing and is also accelerated heart rate that are synchronized to carry the maximum amount of energy to cells. Another response to stress causes an increase in the rate of brain waves produced by the activation of thousands of neurons that are activated at a time. Hormones affect the immune system, causing some inflammation response to help heal. But if it gets longer than necessary can cause adverse effects may involve us in disorders such as asthma, heart disease or arthritis. What has not yet entirely clear to scientists is how the concerns of everyday disturb our health. The stress, anxiety and depression are also involved in the brain, we know that can be alleviated with different relaxing activities like meditation, Tai-Chi, yoga, massage, breathing techniques, and even hot springs. We plan activities ahead of time and learn to say no, avoid taking activities after cannot perform. And we organize our priorities, to do first and which can wait. Let's take a time to relax, distract and disconnect. Do more exercise and eat natural products and balanced way. We express and liberate our emotions. We not demand more than necessary. Want to embrace everything will not make us happier, on the contrary. Let us give things the value they have, without worrying about things we cannot control, this will relieve our stress. Laugh out loud, make us feel better, you feel better but will also enhance heart rate, blood circulation, respiration, etc. Outside the work-off with so much technology controls us. Another important issue is the rest, just as our body needs rest; your mind also needs it. It's not enough to get some sleep; we need our time to eliminate fatigue. If we look after the health of our mind, we will avoid that interferes with the body's health. The best way to calm the mind is lower revolutions, that is, our pace. There is no medicine that we remove the chronic stress, either natural or chemical, but as I said before we can mitigate it. 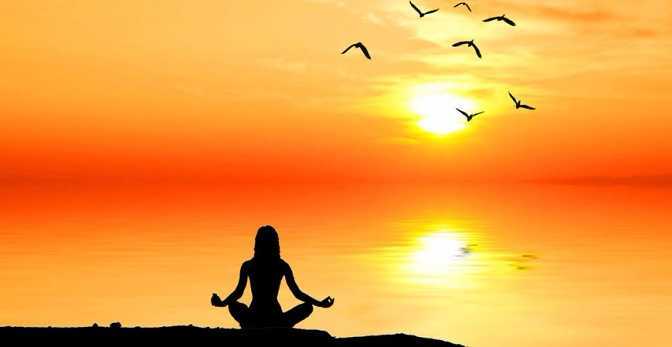 A method that helps positively to calm him is meditation, which practiced regularly can change the natural routine of the brain and make us confront and better withstand the consequences. Although these behaviors can "calm down" apparently, eventually they are more harmful than helpful. Some people are more likely to suffer stress problems. The acute stress is the response to a traumatic event point. Normally, usually it produces no significant damage. It is the mildest form and normal stress, treatment is the simplest. Episodic acute stress has periods very often. Often they suffer it people with many responsibilities or loads exceeding them, cause irritability, anxiety. Chronic stress is the most harmful to those who suffer because they see no solution to their problems.